First recorded exports of coffee. Costa Rica gains independence from Spain. At this time there are only crude trails and paths, passable only in the dry season . The State has no roads. 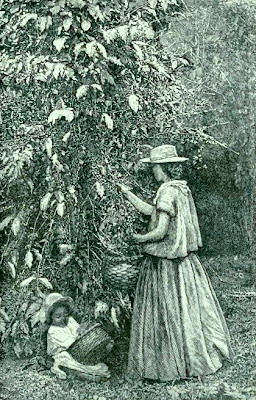 Coffee has been widely planted in the country. British inventor Richard Trevithick arrives in Costa Rica to develop mining machinery. He spends time looking for a practical route to transport ore and equipment. He settles on using the San Juan, the Sarapiqui River and then using a railroad to cover the remaining distance. 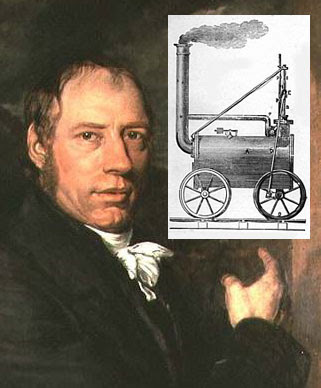 In a biography his son writes that Trevithick had in mind a steam driven railroad and not a mule driven one . Trevithick leaves Costa Rica for England to raise capital for his project never to return. The entire coffee crop of Costa Rica, estimated at 500 quintals. Export of coffee crop reaches abound 50,000 quintals. Mid Forties- Puntarenas is the only Port in the country. Oxcart and horse back the only means of connecting San José with the Puntarenas port. Minor Cooper Keith born in Brooklyn New York, U.S.A. The first rails laid in Costa Rica are on the Pacific coast. Richard Farrer signs a contract to build an animal drawn railroad from the port of Puntarenas to the capital. Extending nine miles it cost between $70,000 and $80,000. Called the “el burrocarril’, mules pulled carts at the rate of 2 miles per hour. It lasted only a few years being unable to compete with the ox cart drivers who charged no more to carry the coffee all the way than only part way as did the 'burrocarril' which had to unload and reload. Panama railroad opens. By this route transportation time is reduced from five months to two months but the cost is double that of the Cape Horn route. 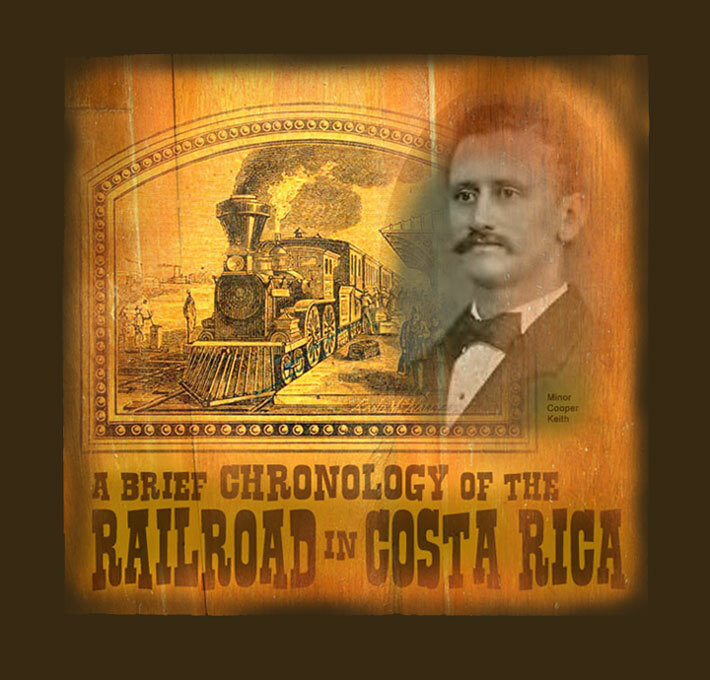 Thomas Francis Meagher, a naturalized American citizen, contracts with the Costa Rican government to construct a coast to coast railroad across southern Costa Rica. It calls for a line from Boca del Toros on the Atlantic coast to Golfo Dulce on the Pacific. The idea never comes to fruition. With the War between the States about to erupt Meagher returns to the states to raise an Irish unit to fight for the North. He never returns. In 1867 he falls from a steam boat and drowns. Coffee export reaches 112,589 quintals. Francisco Kurtze, Director General of Public Works of Costa Rica, distributes and publishes a booklet in English to interest North American capitalist. It contains the results of his surveys of the terrain and the problems to be faced. Offered were a 70 year contract, grants of right-of-way, free importation of materials, 7% annual interest on the costs of construction and operation, and a number of other perks. Projected cost $12,000,000. This map was included in Kurtze's booklet. The five dates of survey run from 1858 to 1865. Government of José María Castro Madriz signs a contract with the famous John C. Freemont who with associates form the “Costa Rica Railroad company” which is to construct and operate a railroad over the shortest and most favorable route from Limón to Caldera on the Pacific. Contract terms are nearly the same as the Fremont contract with a guarantee of 8% on the capital provided that the capital does not exceed 12 million. Also for every mile of railroad built the government would give six square miles of national lands to be selected by the company from anywhere in the country. Signing of the contract is celebrated by proclamation as a National holiday. Contractors and engineers of the Costa Rica Railroad Company arrive at Limón and begin work. It is clear that the 'railroad company' can not fulfill the contract. The President of Costa Rica, José María Castro announces that the contract with Freemont has expired. A new administration signs a contract with Edward Reilly and three other U.S. citizens. 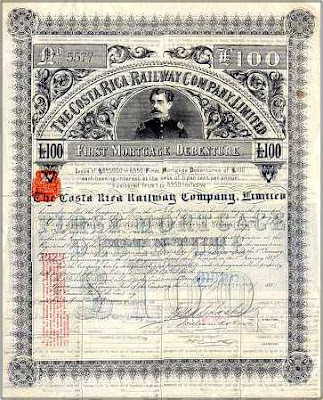 They call the corporation The Costa Rica Railroad Company; the company to have a capital stock of 10,000,000 dollars. They propose basically the same route as Freemont with similar terms. Except they have 5 years, not 6 as did Fremont and the right of operation for 90 years instead of seventy. Reilly’s chief engineer and his corps of engineers arrive to start surveying location of the route. Congress approves the contract that Reilly is already working on. The opposition to Reilly’s plan favored the proposal of Sir Charles Fox and Son of London, thinking their terms more favorable to Coast Rica. Work of grading begins at Limón. In this time period: The promise of a railroad also held out the hope that the countries rich soil could be cultivated and exploited; that small gold mines could be worked. A very poor system of roads still exists after 50 years of independence . Population is approximately 150,000. Little of this growth was due to immigration which because of a need for labor was encouraged by liberal land laws, concessions and colonization schemes. Reilly and company can not meet their obligations and fall behind schedule. The president therefore declares the contract null and void. Under the 5th clause of the contract the government takes possession of the materials and work done. Finding the materials of little value they are turned over to Reilly's company for disposal. The government begins to look for another contractor almost immediately. The administration realizes that the country needs a loan that will not be burdensome to the treasury, about 1 million dollars is thought adequate. The Jiménez administration, which had signed Reilly’s contract, comes to an abrupt end when deposed by a military coup. Tomas Guardia takes control of the government. Late in the year Guardia’s representatives meet with Henry Meiggs in Lima, Peru and begin talks about a railway for Costa Rica. Meiggs’, a railroad builder, is renown for conquering the physical barriers of the Andes. Guardia, always interested in the construction of a railroad, proceeds to cautiously investigate the possibility without his interest in the project becoming public. Early in the year the Costa Rica Minister of Foreign Affairs request of the United States to send two scientific engineers to survey a route. Possibly the engineers compensation could not be agreed upon and the plan is dropped. Guardia announces, in general terms, his plan by declaring, “I have taken the first steps and I have insured the construction of a railroad, which will be the sole agent of our future prosperity.” However he has already decided that the best way to build a railroad would be to hire a proven railroad contractor. Knowing that the treasury could not pay for such a project it would be necessary to secure foreign and domestic loans which a completed railroad would help pay off. Guardia Direct the government to sign a contract. Henry Meiggs is considered, for by this time Meiggs has earned world renown as the famed builder of Latin American Railroads. 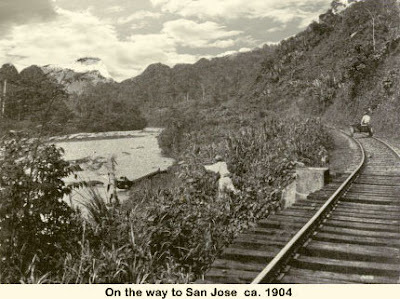 The Panama Star and Herald wrote “after the heights of Peru and Chile, it would to him (Meiggs) be child’s play” to construct a railroad between San José and the Atlantic. The first issue of bonds is floated at the price of 72% at 6% interest and 2% amortization by Bischoffsheim and Goldschmidt. At this time Costa Rica has no debt, is prosperous, and the world money market is in a easy money cycle since the early 70s. The newspaper La Estrella de Panama reprints an article from the Costa Rica newspaper Costaricense that editorialized that “the government was in the process of negotiating a contract which would surely realize the Atlantic railroad and bring the long awaited benefits of world communication and internal development.” The editorialist also stated that if the estimated cost of seven million pesos were several time greater, the rail road would still pay for itself by the capital and labor which it would bring to Costa Rica. The Panama Star and Herald also reported “the more sober and thoughtful among the people are opposed to it for the very good reason that the wealth and resources of the country cannot bear the burden of taxation it will be necessary to impose in order to pay the deficit of interest on the cost of construction.” They were said to prefer a good cart road to the Atlantic and to wait until an increase in population and prosperity would justify the expense. It is announced that bond subscriptions have been twelve times more than the amount of the 500 thousand pound issue. The price is at a premium. A meeting of the Council of Notables is held. The council of 33 is composed of the President, the Cabinet, provincial governors, and delegates of leading persons from the provinces. Only two opposed the contract maintaining that the contract would economically ruin the country. The official gazette announces that a presidential adversity council has persuaded the President to order the Costa Rican Minister in London to secure a loan of 500,000 pounds sterling. It also mentions that the people had come forward and offered to pay a 50 cent export tax on every quintal of coffee exported to help pay for the interest on the capital and owners of lands lying along the route had ceded all right to the land and free of remuneration. Having the councils consent Guardia’s representatives leave for Lima, Peru. In Lima John G. Meiggs signs, as representative for Henry Meiggs, a contract with Manuel Alvarado, the Minister of War, Marine and Public Works and Minister Plenipotentiary. The contract is approved and declared in force 18 August 1871. The contract stipulates that Henry Meiggs agrees to build and equip a narrow gauge, steam driven railroad between Limón and Alajuela to pass through the cities of San José and Heredia. The contractor had to begin works at Alajuela on August 10 and at Limón two months after the Costa Rica government put aside 170,000 pounds sterling for Meiggs first costs of construction. Meiggs had three years to complete the work. He also had the right to import materials duty free. Neither Henry or his brother John have ever been in Costa Rica. A fact that causes them to underestimate the difficulties ahead. By the middle of this year Guardia is in total control, a new constitution is written, forms of democratic government established and he has himself elected President. Although not continually in the presidency, Guardia was from 1870 until his death in 1882 in fact the only voice in Costa Rica. Those who oppose him are removed from power and influence. This includes puppets who displeased him. Work at Alajuela is inaugurated eight days before the contract date. Optimism reigns. The signing of the Lima contract was greeted with gunfire in Costa Rica. Popular excitement had been gathering steam for months and when work officially began more than 12,000 person came to celebrate. The bishop of Costa Rica officiated. Former President José Marí Castro attended and as Henry Meiggs representative delivered an eloquent speech. The president responded with his vision of what the railroad meant to Costa Rica’s future. A military display and banquet rounded out the day. A grand ball hosted by Henry Meiggs, is held in San José in honor of the inauguration accompanied by many grand eloquent speeches. Noted in the Panamá Star and Herald: That Henry Meiggs had secured the services of William Nanne, one of the oldest foreign residents of Costa Rica and congratulated Meiggs on selecting a man of such well known energy and activity. Nanne is of German origin and apparently a coffee broker. He works on both sections of the railroad and is listed at various times as General Agent and financier, General Superintendent, and Director General of the railroad. It appears that he already has engineering experience as he superintended the entire railroad under Henry Keith. Over the next several years the paper will frequently commend his administrative ability, practical foresight, and energy. Young Henry Keith, 23 years of age, is given a huge farewell dinner at the St. James Hotel in Callao, Peru. Pessimistic opponents of the railroad were silence by a national and international wave of enthusiasm. Guardia dissolves the constituent assembly and assumes dictatorial powers. To insure support he places relatives in important positions. Dissenters are arrested or exiled. Bischoffsheim and Goldschmidt offer a second issue of bonds at a price of 74% of the nominal value. This issue is rapidly taken up. A group of about 25 laborers, under the command of a naval officer, leave Cartago for Limón to start clearing the land. Each man carries about seventy pounds of foodstuffs to live on until shipments are delivered at Limón. It takes twelve days to travel. The 25 laborers begin to clear brush and trees. A temporary wharf is started. A tent camp is set up. Panama Star and Herald reports that a temporary wharf is started, offices are going up, vessels begin arriving from New York and England with railroad materials, planking, provision. 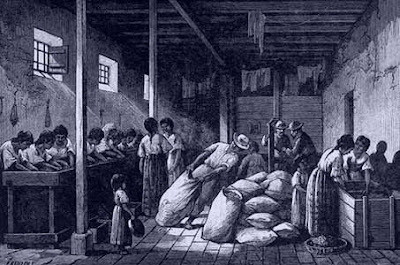 Food supplies were mostly obtained in Cartagena, Colombia. Commercial establishment are set up to sell clothing and other necessities. In April engineers and their wives arrive from England. The Star and Herald has a regular correspondent in Limón to feed a hungry public news of the railroad’s progress. It is announced that 2,000 laborers have been contracted in Colombia and British Honduras. But signing a contract was easier than putting that much labor to work. Local population is not large enough to supply the labor needs and the locals have no interest in working in a hot, infested jungle which is practically a guarantee of sickness if not death. By January 1872 it is reported that 160 laborers are at work. The Panama Star Herald praises Guardia regarding the loan stating that he "has not made use of a single cent of the loan, except in benefit of the undertaking for which it was acquired." First locomotive arrives at Alajuela, four months after work had started on that end of the Atlantic line. 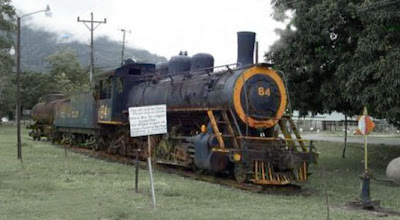 The steam locomotive has been drawn by oxen from Puntarenas costing four thousand pesos. Alajuela puts the first excursion train in operation to the cheers of some 9,000 spectators, which included President Guardia, all the Secretaries, the United States Minister, the Capitular Vicar, Mr. Henry Keith and his engineers plus a host of other engineers and dignitaries. The trial run went a mile toward Heredia. Afterwards a lunch was held for the President followed in the evening with a magnificent ball at the Municipal Palace. Minor Keith is appointed United States Consular Agent at Limón while running the railroad commissary and assisting his brother Henry. Guardia sends Manuel Alvarado to Europe to find out what terms could be secured for another loan. Costa Rica having paid a stiff price for the previous loans now needed more to pay for the railroad. Guardia not wanting to deal any longer with Bischoffsheim and Goldschmidt. Optimism is high that more workers are coming to Limón. 500 are said to be waiting at Cartagena, Columbia. Others expected from “the islands of Aruba, Curazoa, and Surinam. It is hoped that by May 2,000 will be employed on the Limón section. Minor Keith becomes interested in banana plants being grown by C. H. Frank at Aspinwall who had planted bananas along the Panama Railroad and exported them the New Orleans. Keith buys several hundred root bits with the idea of them becoming a item of freight for when the railroad was completed. Keith has them planted in unoccupied lands around Limón. 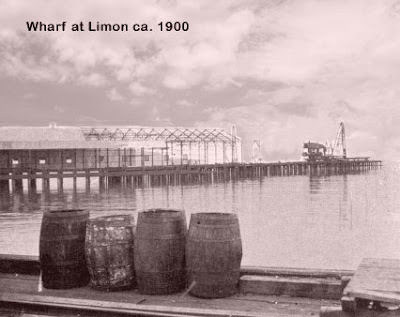 400 laborers are reported waiting in British Honduras for passage to Limón. The Panama Star and Herald reports between January and July only one sizable arrival of laborers. In the May 4th issue they report a vessel from British Honduras brought 173 laborers and some families. The government agrees to permit Chinese labor into the country for use on the line between Alajuela and San José. The first spike on the Limón section is driven. President Guardia in an address to congress says he would support the Alvarado-Meiggs contract even if it cost twice the 1.6 million English pounds called for in the contract. 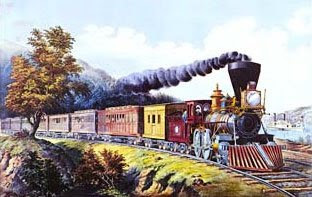 Henry Keith goes to New York with the intention of arranging the establishment of a line of steamers between New York and Limón. 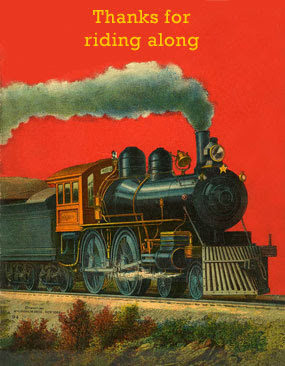 El Ferrocarril, a periodical published by the Atlantic railroad announces that at this time the railroad had meet its requirement of porters, cashiers, medicos, clerks, agents, and lawyers. What is still needed are good laborers and masons. The Panama Star and Herald admits that the rainy season has caused “intermittent fever” among the workers saying that the cases were mild with no reports of deaths. A week later they report that three people had died at Limón, an American, a Chinese, and an Englishman; two from opium and the other injured on the pier. U.S. consul Arthur Morrell in his report to Secretary Fish reiterates Guardia's attitude toward immigration, "His Excellency is sanguine that the railroad will not only be productive as a commercial enterprise, but will induce a large immigration that will not only swell the population of existing towns but also occupy and develop the immense fertile territory lying between the Cordillera and the Atlantic, a region till lately but little known and for the most part unexplored; causing new towns and villages to spring up where now is only a wilderness." 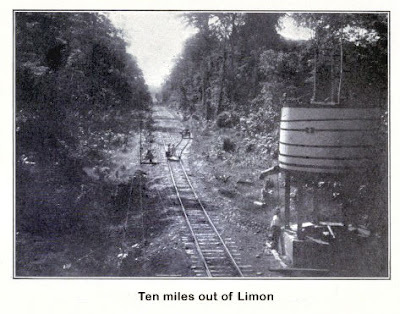 On a one mile track, the first locomotive makes a test run from Limón to Camp One. Plain mischief or petty sabotage is perhaps the cause of the government providing penalties for anyone that damages or put obstacles on the railroad. Derailment caused by putting objects on the track resulting in injuries is a criminal offense. More workers are contracted for: 500 in the Cape de Verde Islands, 400 from Curacao, and 500 from Ruatan and other places. "I intend to run her between Bluefields, and Cartagena, stopping first at Greytown, Parismina, Limón, Boca del Toro, Aspinwall, Porto Bello and then Cartagena. I know that an immense trade in the way of produce can be opened up in these places and that the boat ought to pay for herself within a year." His enterprise becomes known as "The Central American Steamship Company." An enterprise that during the economically depressed 70s keep Keith solvent and provided funds for the building of the railroad when the government was short on funds. Keith continued to import materials and laborers at his own expense. The port and territory of Limón are declared free of customs duties which stimulates the economy and inflow of goods and labor. Minor Keith arrives in New Orleans to recruit workers and his presence attracts so many applicants that he writes to his brother that he is considering changing his name. Henry Meiggs has previously put him in contact with 20 railroad men, mostly chief engineers and work foremen. The New Orleans newspapers carried the following advertisement “Wanted for steady work; young men, preferably single, with a liking for travel. $1 per day; food, lodging and ship fare free. Call Mr. __.” Apparently Mr. __ was with the police department and was interested in exporting the cities undesirables. Keith was successful in recruiting around 500 men. Keith made the 20 railroad men foremen and armed them. Loading a boat with his workers and 40 barrels of whiskey he sets sail for Costa Rica. Thirty of the men jump ship while docked at Cuba. Then his luck turns bad. A hurricane drives the ship off course hitting a coral reef 90 miles off the Yucatan coast. The captain is drunk and everyone else threatens to desert the ship. Keith takes command, organizes the men, jettisons cargo and frees the ship from the reef. A week later with a damaged and patched boat they entered the port of Limón. Of the 500 men recruited not more than twenty five ever returned to that city; jungle fever claims the rest. The Superintendent of the Cartago-Angostura section reported in August of 1873 that many sick employees in the Cartago hospital had worked on the Limón section, but no deaths reported. A contract is made for 600 men from the interior of Jamaica. The first locomotive rolls into San José. To celebrate, the railroad builders donate all railroad receipts for the 3 days of fiesta to the Metropolitan church. In the latter part of this year Minor Keith had arranged with Mr. Frank to ship Frank's bananas to New Orleans to see what demand their might be. Keith agrees to ship Frank's bananas on the "Meiggs" in return Frank will pay the actual shipping cost. Any profits to be divided equally between the two partners. It is a success with net profit at almost one dollar a bunch. Keith begins planting extensively in the lands along the Atlantic railroad. Mosquitoes, malaria, yellow fever, and general physical dissipation take their toll. Guardia takes an extended visit to Europe and is accompanied by Henry Keith and his family. By the end of the year it is reported that some two or three miles of line have been completed. The British council reports that some 700 men are at work on the Limón section. On the road from Limon to San Jose. Engraving published in 1873. During this year 200 or so Italians are recruited on the promise of a dollar a day, free lodging, food, and transportation. When they arrived they disappeared into the jungles. About sixty of them die from fevers before they were returned to work. They soon charter a boat and returned to Italy. Minor Keith begins opening commissaries or trading posts around the Caribbean coast. They extend, eventually from San Andres, Colombia to Bluefields, Nicaragua to British Honduras. 654 laborers arrive from Macao, arriving at Puntarenas on joint account of Henry Meiggs Keith and Messrs. Bubbe & Britzell, two San José merchants. Three hundred sixty go to work on the line between Cartago and Angostura. 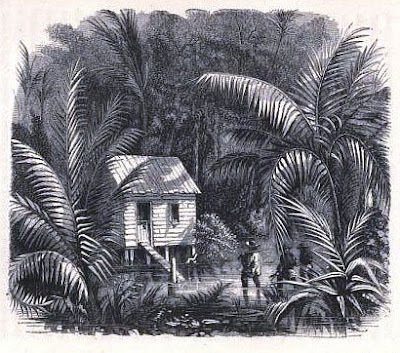 The British minister to Central America, acting in a private capacity for Bischoffsheim and Goldschmidt, informs the government that his client be permitted to take charge of the customs house in Puntarenas to collect the monthly remittance due on the 1871 loan which the government has failed to forward. The government maintained that the matter had already been taken care of. Tempers flared. Costa Rica refuses the demand. Although doubts about Costa Rica’s financial soundness raised eyebrows they reported a substantial balance in favor of the treasury. As of this date the total number of laborers and employees of the railroad is 3,000. There is little hope that the railroad would be finished by contract time which is December 1, 1874. It is also realized that one million dollars more than the 8 million called for in the original contract will be necessary to complete the Atlantic railroad. U.S. Minister Blair to U.S. Secretary Fish characterizes Henry Keith as "a man of no responsibility whatever." He repeats an allegation that H. Keith pays no attention to work and spends his time in dissipation. Yet he does not charge him with dishonesty and says none has ever been made. 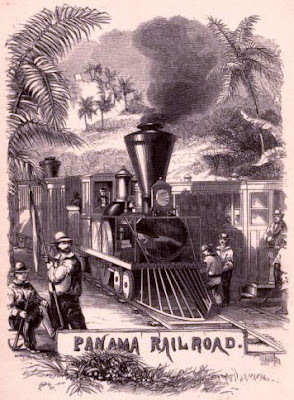 Panamá Star and Herald quotes a railroad spokesman on the Alajuela line, “We had to transport the first shovel and pick to the last spike and rail on ox carts over a distance of about sixty miles from the port of Puntarenas.” He also estimated that each rail cost ten dollars each to transport to Alajuela. Engineer-in-chief of the Cartago and Angostura section reports that 1560 persons work on that section. 360 are Chinese laborers. On the line between Alajuela and Cartago are about 300 men. Bond holders of 7% loan of 1872 send a confidential agent to Costa Rica to examine the railroad and the state of national finances. Costa Rica attempts to pay service on the 1871 loan with promissory notes instead of cash. President Guardia calls an extraordinary session of the Congress to consider changes in the original contract to provide for an extension of the railroad from Alajuela to the Pacific when the Atlantic section is finished. 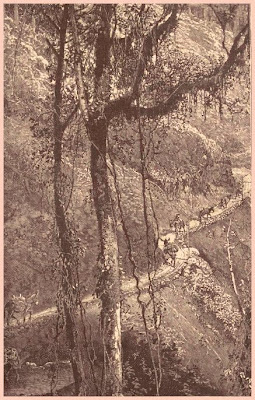 The Belgian consul reports that 1,100 men are working on the Limón section. The government has run out of money with which to pay Henry Keith. Keith’s representative Nanne is told that unless the contractor complied with the terms of the Alvarado-Meiggs contract by submitting monthly certificates of the amount of work done, the government would stop payments. Clearly a ruse since the government had already advanced more than 5 million over the past three years with out certificates. Nanne answers that the contractor have no funds to continue work and without government funds the work would have to stop. The central section of the railroad reaches Cartago, the last and highest of the 4 highland cities. The most spectacular of celebrations so far takes place. Celebrations last through Christmas which is followed for ten successive day, three trains leaving the capital for Cartago, Alajuela, and Heredia filled with pleasure seekers. Every night there were speeches and dancing. The Star & Herald correspondent noted that “everything that good taste and a lavish expenditure of money could do to make them (the fiestas) conspicuously attractive” was done. Government passes a resolution to terminate the Alvarado-Meiggs contract. About 300 Chinese workers riot when a French camp-chief tried to force them to work in a fog which they refused to do. A drunken military officer ends up shooting and killing six and wounding nine other Chinese workers. The Limón section reaches the Matina River, about 21 miles out of Limón. The labor force in Limón has fallen to 500 men. The government sets up the administration of the railroad under the authority of the Secretary of Public Works, which establishes work rules, and the amounts to pay employees. Guardia's acknowledgement last fall that he had received for gratifications (read bribe) $800,000 dollars from the first discount of the railroad bonds, did not seem to shock the moral sense of the people so much as a stranger would have reasonably expected. Not withstanding he entirely failed to make known the parties among whom the gratification had been distributed, and there was a very general suspicion, arising from his sudden elevation from poverty to wealth, that he had not disbursed a large amount, he might have borne himself over the act, it had not become apparent the railroad enterprise would be a failure. The 1871 loan goes into default. 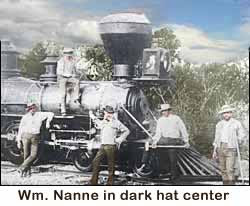 During April the government takes charge of the railroad and appoints Nanne Director General of the railroad who is now in the employ of the government. At the time of the take over the railroad is completed and open to public service from Limón to Matina, 21 ½ miles, and from Alajuela to Cartago, 27 miles. Guardia's speech to congress reaffirms his faith in the railroad. "Believe me Gentlemen, I have no further ambition than to secure for the Republic the termination of a work (the railroad) which is the configuration of its future aggrandizement." Guardia makes it clear to many that the governments taking charge of the railroad means "full steam ahead." The President is authorized to make contracts with companies and/or persons for the construction of the remainder of the railroad or parts of it. 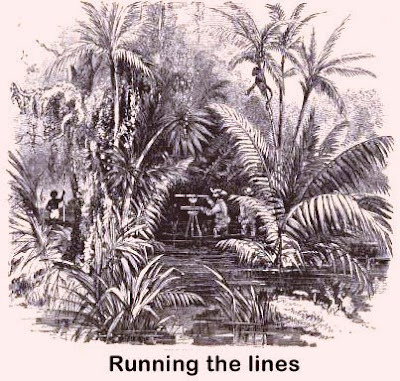 The London Times reports that several North Americans working for the railroad are charging that the Chinese under contract were sold as through they were slaves for a certain term of years. The President has been give nearly complete control over all railroad matters. Both issues of the 1871 loan go into default. Relations between Henry Keith and Guardia are strained. Employees are discontented and unhappy about the irregularity of their salaries, some six months in arrears. Most Limón employees have left, only a few wait idly around for salaries owed them. Lack of funds has paralyzed the whole project. The consul adds to his report, "Almost all hopes of the completion of the line are now abandoned." This year everyone has something to complain about. The Costa Rican newspaper Costarricense voices the opinion that the contractor should have organized the work better. Henry Keith restates his belief that construction should not have begun at both ends. That it had been a "verbal agreement and promise, forced upon Mr. Meiggs against my wish and will." The Costa Rican government files suit against the bankers of the 1872 loan for recovery of some of the money involved in that transaction. The government of Nicaragua gets into the act by claiming that a map of Costa Rica published by the Costa Rica Railroad Company, claimed territory belonging to Nicaragua along Lake Nicaragua and the San Juan del Norte River. 'No progress made on the railroad. Only enough employees to keep the finished parts in working order. Areas where work had begun, now abandoned is deteriorating as nature reclaims her own. The Panama Star and Herald has not given up hope and reports: "There is every reason to believe that work will speedily be resumed on the Railroad here and that in a few months the line will be opened to Pacuare (river)." As part of an economy measure and to raise funds to make a contract a government decree cuts the pay of many higher railroad officials. Henry Meiggs Keith, eldest of the Keith brothers, dies of dysentery in New York where he returned after falling seriously ill while working on the railroad. An editorial praised Henry as "a warm hearted, liberal man generous to a fault and ever ready to serve others without regard to his own interests. He made hosts of friends wherever he had been." The Secretary of Public Works prohibits the giving away of train tickets. Employees get free rides only when on official business. President Guardia visits Limón and examines the railroad in detail with the object of completing the line from Matina River to the Pacuare River. Most of the 15 mile distance is already graded and not expected to take long to finish. A contract is signed with Messrs Myers and Douglas for the Matina to Pacuare River line for $200,000. The government had also negotiated a contract with a French company to complete the railroad. Costa Rica rejects the contract finding its terms unfavorable. Panamá Star and Herald reports that government land sales along the right away have reached $200,000. Selling for about $5 an acre most lots are bought by foreigners. Panamá Star and Herald prints a private letter dated the third of January which says: "we have had the worst rain storm here ever known, doing considerable damage to the railroad." The writer also mentions bridge washouts and damage to track embankments and he adds, "the locomotive could get only three miles out of Limon, there being some four feet of water on the track." Panamá Star and Herald reports that heavy rains have been falling on Limón for weeks and "the whole of the city of Limón may be said to be submerged." It also noted that "great portions" of the earth work and culverts for the railroad beyond Matina had been destroyed. Temporary bridges have also been washed out. In contrast to the rains abundance there was a shortage of cash. Messrs. Myers and Douglas plans never materialize. Panamá Star and Herald reports "the long interval which has elapsed since any funds were received from the capital in payment of the railroad employees has produced not a little inconvenience and distress." Panamá Star and Herald reports that a special railroad commissioner has brought to Limón "considerable amount of specie" to meet the debts of the government. The payment of wages and salaries fall into arrears. No payments are made for months and widespread dissatisfaction prevails. Guardia permit’s the election to the presidency of his follower Aniceto Esquivel. Guardia holds the office of first vice president and commander of the armed forces. William Nanne as already resigned as Director General of the railroad, "thoroughly disgusted with the improvident management of the government finances." Panamá Star and Herald reports that Esquivel appoints his brother-in-law superintendent of the railroad. Panamá Star and Herald reports that the new administration initiates measures "to counteract, if not too late, the extravagances of the preceding administration." Salaries of railroad employees are reduced. An incident reported in the Panamá Star and Herald demonstrates how Guardia's belligerent attitude with Nicaragua made workers unnecessarily tense. "Some little excitement and considerable amusement, resulted in this city (Limón) yesterday, owing to the arrival of a boat, displaying the Nicaragua flag, and having on board some twenty men. The Governor, Secretary, and other officials, and the whole of the police force, all armed, presented themselves on the wharf and forbade the landing of the (supposed) invaders. 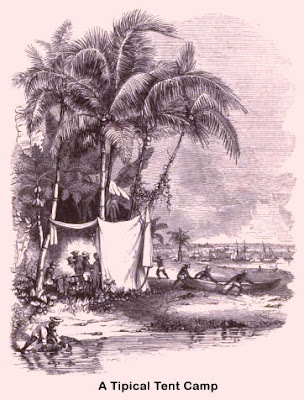 On going alongside the boat, however, the Governor satisfied himself that the crew consisted of some score of inoffensive Caribs who came down to work on the railroad under Mr. Keith's contract; further detachments arrived today, and a considerable force is expected"
Disagreement with Guardia results in a coup and the elevation of Vicente Herrera to the Presidency. The new administration continues reducing expenses. Salaries as well as personnel are reduced 20 to 30%. Herrera replaces expert foreign administrators with Costa Ricans. He is charged with employing "inefficient, because inexperienced, natives, instead of competent foreigners." The critics charge that with other senseless economies that the rolling stock had deteriorated and the cars were continually jumping the rails and were very slow. However Herrera covers the railroad liabilities up to July, 1877. The Panamá Star and Herald reports "deaths from dysentery, fever, and other tropical diseases have been numerous during the past month, and a great deal of sickness still exists." A special commissioner is sent to Limón with orders to make changes in the running of the railroad. Panamá Star and Herald reports from Limon, "the laborers on this end of the line quit work some two days ago and declared they will not go to work again until paid." "Keith had in his employ about 1500 Jamaican Negroes. Summoning them, he explained the circumstances and offered to repatriate those who were sick or who wanted to go home. Such was their faith in "Mistah Keith" that a decision to stand by him was carried by acclamation. For nine months those 1500 black men worked loyally for Minor C. Keith without a pay day. When the financial skies cleared and the Costa Rican government was in funds, the full months wages were paid, and the government paid all its obligations to Keith, including his large losses caused by the want of funds." Track is complete 31 1/2 miles from Limon with a graded road 1 1/2 miles further with 2 1/2 to the Pacuare River. Guardia sends his friend and ally Pablo Quirós to find another path for the railroad. They find a better route but it is longer than the older one. To implement it would require the abandonment of nine miles of already finish railroad east of Cartago. It offered lighter grades and easier curves in its ascent to the highlands. The cost of $50,000 per mile would be double that of the Reventazón route. The new route is favored by the government because it would open hundreds of additional square miles of land for immigration and cultivation. It is expected that the Marina-Pacuare distance will be completed in three months. By mid-year Keith is nearly finished completing the Pacuare-Reventazon portion. Guardia is anxious to start construction on the next link of the new route. 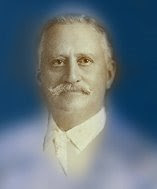 Juan Bautista Quirós, son of Guardia's compatriot, General Quirós, is appointed superintendent of the Limón section. He reorganizes the railroad and dismisses excess personnel which reduces costs from 17,000 pesos a month to 9,000. Herrera's government ends as Guardia deposes him and resumes the presidency. Henry Mieggs dies in poverty in Lima, Peru. The Marina-Pacuare distance is completed. There is a rumor in Limón that Minor Keith seeks another contract to take the railroad beyond the Pacuare River. Panamá Star and Herald reports that "the payment of wages and other liabilities of the railroad continues to be made with most refreshing punctuality." Guardia, along with other dignitaries, visits Limón and announces that arrangements have been made to immediately extend the railroad from Pacuare. Two groups of 500 native workers are expected to be at work within a few days. Guardia has planned, with military precision, the setting up of commissaries and other necessities. Work rules for the Pacuare workers are pronounced by decree. They are organized into sections of 100 men with each man assigned a number. Under command of a chief, each section is composed of four squads under a captain. Specified in the decree are the eating schedules, the menu, and the wages of one peso for ten hours of work. The Panamá paper thought rules along military lines amusing but in practice would be useless. During the month the word goes out to police chiefs, agents, and Justices of the Peace that workers were needed at Siquirres. One dollar per day was offered along with good food. Panamá Star and Herald reports the more than 400 laborers have responded to the call. Minor's brother Amasa dies suddenly while on the Limón section of the railroad. List of arrivals at Limon in the Panamá Star and Herald records an 'A. Keith' arriving on 4 April 1872. Civil magistrates are authorized to turn over all vagrants under 50 years of age to the commandants of the provincial departments who in turn place them in the employment on the railroad. Panamá Star and Herald claims the nothing is being done and the money spent is for show. They add, "The government insist upon running the railroad themselves, and not a man among them knows more that a little child about it." When Guardia pays another visit to Limón a rumor spreads that another contract is to be let. Minor Keith and the government agree on terms and a contract is made in which Keith agrees to extend the railroad from the Pacuare River to the Reventazon River a distance of about 3 1/2 miles for 75,000 colones Costa Rican. To be completed in September 1, 1879. Seventy five thousand dollars is the cost of which $25,000 is advanced to start work. Clause Six of the contract forbids liquor sales near the work site and obligates the contractor to oversee the ministering of any liquor that the Limón doctor judges necessary for health purposes. By this time Minor Keith has begun shipping small cargoes of bananas to New York in joint account with the Atlas Line of steamers. Keith's interdependence of interests, the railroad, the banana industry, the commissaries, and shipping, offer not only prosperity to Keith but also prosperity and development to Costa Rica. Reason enough to fulfill as quickly as possible his contract of 1879. According to Guardia the government is in a good financial position with a large surplus from the concluded fiscal year. He is confident in financing work simultaneously on the Pacific and on the Atlantic. Other are not confident and opposition is great. Bondholders of the 1871-1872 loans are still dunning the government for payment of the defaulted debt. Others don't like the change of route. One hundred more laborers arrive from Jamaica. One hundred and fifty "distinguished members of the Church and of the various representative bodies of the Republic" are guests of President Guardia on a trip to Limón. The party also included staff and military officers and the band of the Cartago military garrison. He intends to win over opposition by showing them the country being crossed and the progress already made. It is common knowledge that Minor Keith will be given the management of the Atlantic line and a contract for the next section to be constructed. A special train carries 100 guests of Keith to the camp at Siquirres. It is the first time that a passenger train had reached that point 37 miles from Limón. "Work has been begun on the Pacific section of the Costa Rica Railroad. The steamer Irazu brought down from Nicaragua 400 laborers, who are now actively at work, together with as many laborers as can be obtained from the small towns on the Pacific slope of the little Republic. The Pacific section is the most important as well as the only practicable one, taking into account the resources of the country. For the want of it this season 100,000 bags of coffee still remain in the country, and cannot be got out until December. The loss by deterioration in quality, interests, &c., will be over half a million dollars." Contract between Keith and the government where Keith agrees to build within twenty months the railroad from Reventazón River to Sucio River to Carrillo, a distance slightly more that 30 miles. The price tag is $1,750,000 pesos. During this month Guardia orders a reduction of all government officials salaries and a number of positions are abolished. Salaries of all government officials, including the president, are reduced 10 to 25%. Keith assumes control of the whole Atlantic division under special arrangement with the government. He is also to build a mule road from Rió Sucio to San José and oversee the maintenance of a telegraph line from Limón to the capital. It is reported that the total work force is 600 men. A number being added to daily by arrivals from Jamaica, Honduras, and other locals. About 200 negroes from the Southern States are said to be arriving soon. The year marks the birth of a renewed enthusiasm. Guardia, determined to build an interoceanic railroad is able to mobilized support and raise money to start three major projects. One: The Pacuare-Reventazón contract with Keith. 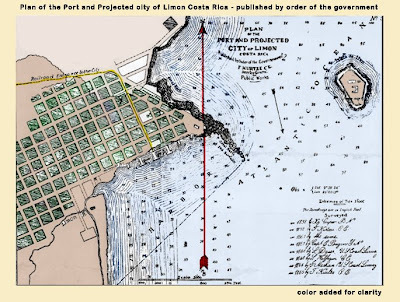 Two: The beginning of work on the Pacific section of the interoceanic railroad to be constructed from the port of Puntarenas to the town of Esparta, about 13 miles inland toward Alajuela. Three: This project concerns extending the railroad from the Reventazón River to the highlands, the remaining distance. During the late 70s many surveying expedition are sent to find a better route between Limon and the capital. 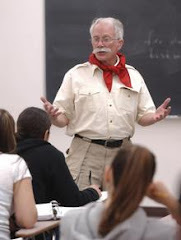 On one of the trips the Costa Rican historian Francisco Mariá Nunez (Iniciación y Desarrollo de las Vías…) relates the following: Guardia and others including Minor Keith are inspecting the projected route. Following the trail to where it climbed into the highlands Guardia turned to his friend Quirós and asked, "How will a train be able to run here?" Minor steps forward to say, "Where we are going it can not be done; you can hear a river to the right; the River is La Patria and where the river goes, a railroad can go." It is said that Guardia was impress with this kind of approach. Keith is awarded the contract. He is 31 years old at this time. The hope of developing a large mining industry continues to intrigue investors. All that was lacking was the means of transportation for materials. Even though this never materialized it clearly had a part in the eventual realization of the Railroad to the Atlantic. In the decade between 1874 and 1884 the previous momentum for the project has slowed to a slow pace. There are moments of elation when a new contract is signed for building a new but short section of track. Again the future looks bright to the people but then the obstacles would come and a sense of defeat would return. At the end of the decade completion of the railroad was still far from complete, but the small progresses of the decade will contribute to the eventual fulfillment of the railroad dream. In the early part of the year Costa Rica experiences a small land boom in settlement and cultivation but it falls far short of expectations. Settlement rather falls under the spell of banana planting which is now a favored item for export. The U.S. consul reports that ten miles of the Pacific section are completed. Five hundred men are employed on that section at the beginning of the year. The railroad reaches Reventazón and the decree of September 4, 1872 is revoked. No longer is the port of Limón free of customs duties, from this time on all goods imported through Limón will be subject to the same tariffs in effect at Puntarenas. General Guardia plans another trip like the one of 16 April 1879 but is not able to because of declining health. The government announces that the Pacific section has been completed. The mule road from Rió Sucio to the capitol is opened. The government opens lands to settlers on each side of the line. Lots adjoining the line to a depth of 1,500 yards are valued at ten dollars per manzana. With distance the rates receded to two dollars per manzana. In a year more land is opened along the cart road. Five mananzas per individual, the only expense being the cost of surveys and fees for granting and recording titles. 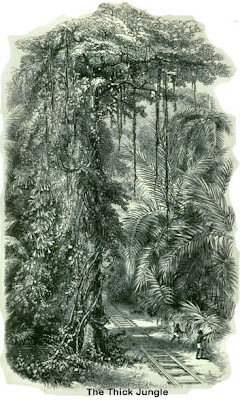 It was hoped that it would be cultivated for coffee, cacao, tobacco, sugarcane, cocoanut, and India rubber. According to the Panamá Star and Herald, in order to further cut costs salaries of judges are cut off. It is reported that a public subscription drive of voluntary contribution amount to a considerable sum to be applied to the railroad. Keith is given a contract to construct over the Rió Sucio route a highway or cart road. Panamá Star and Herald reports that the contractors had received nothing from the government for months and had paid the workers little or nothing since November of 1880. Keith has gotten together a work force of 1,500 men. Disease continues to deplete their numbers. Competition for laborers by the Ferdinand de Lesseps Panama canal project is one more problem added to the greater problem of securing money. Government issues "billetes privilegiados" which bear 12% interest and are to be used as legal tender to pay customs duties. Keith having no choice accepts the arrangement. He uses the paper to borrow money from usurers in the country, paying 24% per annum interest and depositing billets to double the amount of the loan as collateral. Keith also uses the 'billetes' to pay worker wages. Panamá Star and Herald reports that workers are very unhappy with being paid with the 'billetes' and reports 'disturbances' and loss of life as a result. Guardia goes to London to make arrangements with the bond holders. The corporation of Foreign bondholders calculates the total indebtedness of Costa Rica (principle and interest in arrears) to be 3,483,817 English pounds. Minor Keith accompanies him to provide information about what has been accomplished and what expenses were to be faced. Guardia signs a preliminary agreement with the council of the C.F.B. The agreement provides of the establishing of an English company with a capital of 1,200,000 English pounds. Costa Rica is to hand over to the company all the existing lines and also 500,00 to 800,000 acres of land on each side of the line from Río Sucio to Limón for 99 years. In return the company is to complete the railroad from Río Sucio to San José (About 29 miles). The bond holders were to be issued new consolidated bonds with a lesser percentage rate. To guarantee payment of the interest the government pledged custom's duties, proceeds of tobacco and liquor monopoly, and the one third of the profits of the railroad which was the government's share. The commission sends a special examiner to look over the railroad and the country's finances. The report of the chief commissioner states that 'it is useless to expect any payment from Costa Rica until the rail was finished' which will cost a million pounds and take two years to realize. President Guardia returns to Costa Rica. He promises to put the preliminary agreement before the Grand council of Sate and the Congress. At this time Guardia is in poor health and entering into a long and painful decline. The railroad from Rió Reventazón to Rio Sució and the highway from the capitol to Rio Sució is completed. Both events are celebrated with the flowing of much liquor. Minor Keith is now no longer 'the nephew of Henry Meiggs' but is famous in his own right. Graeme P. Keith 26, youngest of the Keith brothers, dies in Limón of 'billious fever'. The British consul reports some 130,000 acres of land on each side of the railroad has been sold by the government from Rió Sucio and Limón. Keith signs a new agreement with the government giving him the lease of the Atlantic railroad from Limón to Río Sucio for five years beginning January 1, 1883, the lease to expire when the railroad is completed to San José. Keith will be paid $10,000 per month beginning 1 March 1882 to 1 January 1883. Panamá Star and Herald reports that "that many plantations have been created in the last 18 months, and much of the lately planted fruit is coming in." Tomás Guardia dies. Before his passing Guardia asks Keith for a full accounting of his losses. The Finance Minister is directed to pay the losses to the extent of a million dollars. Payment is made in notes which are eventually redeemed. Don Prospero Fernández, brother in law and Commander of the Army, is immediately elected to succeed Guardia. Congress has not yet considered the agreement with the bondholders. After 1882 with the finishing of the Rio Sucio section it will be nearly four years before work begins on the last section. Lack of money is the reason and securing new loans is impossible unless the country settled its accounts with the holders of the 1871-72 bonds. Costa Rica has no foreign credit. The two presidents following Guardia also desired to restore solvency and spent the years restoring it. Keith, a U.S. citizen it should be noted, was given the task of settling Costa Rica's foreign debt and raising the funds to finish the railroad. During this time bond holders have appointed receivers to collect from the government. The government refuses their applications. The receivers charge that Costa Rica has surplus revenues to pay at east part of the annuity but were spending it on railroad construction and military equipment. The Costa Rican government contended that they cold not pay until the railway was completed. Bananas exported through Limón number 110,801 stems. According to the agreement of 1882 April 17 Keith is to begin paying his lease. For the first year $20,000 dollars, and for each year following an increase of $20,000 each year. By the 5th year the rent would be $100,000. The five year total amounts to $300,000. In a message to Congress President Fernández states that the county's finances be put in order before the government could accept new arrangements with the bond holders. Keith offers a plan to the government that they accept with a few changes. The British corporation refuses to accept Keith's plan. Keith marries Christina Castro, one of the daughters of José María Castro, eminent jurist, diplomat, and statesman, and President of Costa Rica three times. Don Castro had also been present at the Freemont signing of 1866. Banana plantations along the railroad average 600 acres in size, with a frontage of 1,700 yards which were sold by the government at the rat of five dollars per acre on ten years credit. Lands far from the track, but still within the railroad zone of 10 miles, is available for one dollar per manzana. A Panamá Star and Herald reporter taking a train trip wrote the following description of what he saw. "I left Limon at 8 o'clock in the morning, and was surprised and delighted to see in the first 25 miles of the road over 120 farms and banana patches, all of recent formation and owned chiefly by Jamaicans." The Jamaicans are released from railroad construction because of a law g4ranting all squatters along the railroad nearly twenty acres of ground, provided that the land is actually cultivated by the settler. Panamá Star and Herald reports "when General Fernández took charge of the ship of state he found an empty treasury, an ever increasing deficit in the budget, an internal debt amounting to nearly three millions of dollars, in addition to the heavy foreign debt." Later in the month they give the government a bit of praise, "The new government, although strained in circumstances as to funds, meets current expenses promptly and honorably, and is credited with honest and intelligent management of the peoples money." Panamá Star and Herald pays tribute to Keith in these words "…to [Keith's] indefatigable energy and general bull dog luck, Costa Rica owes her present outlet to the Atlantic." Keith's plan rejected by the British corporation is revised and resubmitted to the Costa Rican government. The new agreement is signed with Bernardo Soto, Secretary of Public Works, Finance, and commerce. It becomes know as the Soto-Keith contract. The terms now are: Keith agrees to arrange for the conversion of the 6 and 7% loans into new bonds bearing interest at the rate of 5% and the reduction of capital. The payment of interest guaranteed by customs revenue is to begin in 1888. Keith is also to arrange the creation of the 'Costa Rican Railway Company' for the purpose of completing the line. Keith is to take possession of and to operate the entire railroad for the term of 99 years. The government grants 800,000 acres of national lands along the railroad line or any other part of the country selected by the company. The government is to receive one third of the capital stock of the Railway. The Soto-Keith contract is approved by congress. Keith returns to London to negotiate with the bondholders. Bananas exported through Limón number 420,000 stems. 1884 The Italian, Pietro Colombari, who had served with Giuseppe Garibaldi, arrives in Costa Rica and amasses a fortune as an engineer during the building of the railroad. His direct decendent, on the maternal side, is Costa Rican born José Eduardo Sancho Castañeda, a/k/a Comandante Fermín Cienfuegos of the Faribundo Martí Liberation Front. Keith and bondholders after long and difficult meetings sign an agreement which is with few modification the Soto-Keith contract of 5 April 1884. 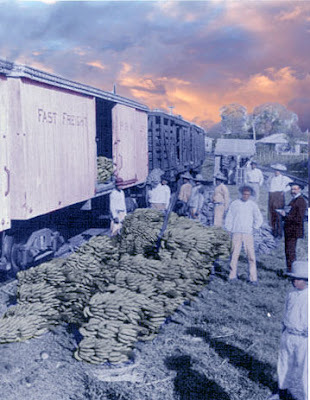 The Panama Star and Herald sums up the relationship between the railroad and the banana industry: "When the Costa Rica railroad was built there was not a banana cultivated except in the few pueblos in the department. Now there are immense plantations with a largely increased population, and a lively and profitable business is done in that and other tropical fruits. The fruit trade of Costa Rica was created by the railroad; that is about the only value it brought to the little republic." As of the end of the year the interest in arrears totals 2,116,824 pounds sterling. "The Costa Rica Railroad Company, Limited" is incorporated in London. The renewal of construction work is celebrated in Cartago with a fiesta and a ball. President don Bernardo Soto delivers a speech praising Keith for the resumption of the railroad and restoring national credit and for "serving with absolute fidelity the interest of the Republic." Late in the month Keith returns from England and work is push forward. And advertisement in La Gaceta indicates Keith is looking for native Costa Ricans to work on the railroad. Keith takes charge of the central section and operates the entire Atlantic railroad on his own account until it is completed and turned over to the company in 1891. The Costa Rican government approves the constitution and by-laws of the "Costa Rica Railroad Company, Limited." Keith has 400 men working on each end of the line but to meet the August 1989 deadline a larger crew is needed. The government and the new railroad company agree to transfer the entire railroad (the central section being managed by the government and the lowland section being leased by Minor Keith) to the new English company. However the Costa Rica Railroad Company has been in possession of the whole of the existing lines and equipment since October 31, 1886. 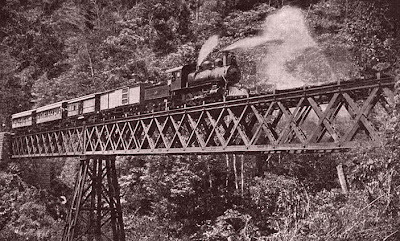 The company is complete the railroad from Cartago to the crossing of the Rio Reventazón by August 19, 1889, at that date the 99 year concession would begin. Keith reviews for congress the obstacles in getting labor. He mention that Costa Rican laborers are few and can not be spared from agricultural work. There is competition with the huge de Lesseps Panama Canal project. He was not successful is getting the 2000 men he hoped for from the Canary Islands. Of 1,300 he had hired in the West Indies and the Southern states most went on to work in Panama. Therefore Keith asked for authorization from the government to introduce up to 10,000 African or Asiatic laborers. He pledged to keep them in separate camps and return them to their homes when the railroad was completed. The government allowed him to import not more that 2,000 Chinese provided they did not stay longer than necessary and on no account for more than two years. It is not know how many he brought in under this plan, but it clearly was not enough. Keith goes to London to secure between 800 and 1,000 Italian laborers. He managed to contract with about 800 men. First debenture stock issue of 1888 valued at 100 English pounds. Soto is pictured. The Italian workers riot claiming that Keith violated the contract. The government investigates and sides with Keith and orders the men back to work. They refused to work for three weeks until the government promises to bring their families to Costa Rica. Workers also came from Colón, Barbados, Jamaican even a few Swedes and about 500 Costa Ricans. The mechanics, machinists, and train workers were almost entirely Englishmen or N. Americans. The work force on the last section of the Atlantic railroad ranged at different times from 2,500 to 5,000 men. The last section of the railroad is the most challenging. Apart for the numerous challenges constantly faced is the new one of the steep climb from the Reventazón to Cartago. Starting at 200 feet above sea level the terrain climbed in the next 52 miles to 4,500 feet passing the foot of volcano Irazú (11,200 feet). Washouts and landslides slowed construction on the last section. On an inspection tour of a permanent bridge over the Matina River (constructed 1880) Keith nearly looses his life when the bridge is swept away. Five persons were drowned. British consul reports that "if the works do not proceed as speedily as could be desired, it can not be attributed to any want of energy on the part of the contractor, Mr. Minor C. Keith, but rather to the force of circumstances." Keith ask for and is given a extension of one year from August 19 when the railroad was to have been completed. Bananas exported through Limón number 1,034,765 stems. The last rail is laid and the last spike is driven. 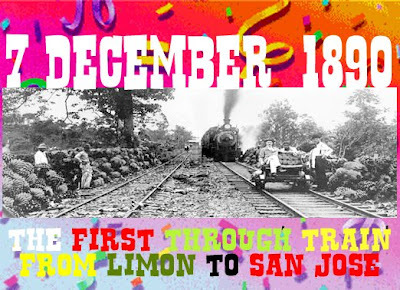 The first through train runs from Limón to San José. It was a month of gala balls and celebrations. La Gaceta comments: "The Atlantic railroad has been opened thanks to the incessant and untiring energy of Mr. Minor C. Keith. The public recognition of the services of that gentleman which were given on December 7 serve but faintly to express the general feeling of all that he is entitled to thanks and recognition, and that our country feels grateful to him for the work he has achieved." The British consul commented: "This (the Atlantic railroad) is the result of the energy and indefatigable perseverance of Mr. Minor c. Keith, whose name will ever be remembered by all Costa Ricans and foreigners established here." On the 31st a grand ball was given in Keith's honor. A future President of the country, Cleto González Víquez, saluted him as "a grand character even among Yankees." Another flood, one of many that has plagued the railroad from the beginning, sweeps away "every house in Carrillo, the town at the railroad terminus. The only buildings that survived are the old custom house and a part of the 'Hotel Ferrocarril.' During the flood the Río Sucio changes course and now flows where Carrillo had once been. Keith turns the complete railroad over to the company. Minor Keith, as contractor for the railroad asks the governments permission to abandon the section of the railroad between Rio Sucio and Rio Toro Armarillo. Request granted. From 1886 to 1894 the service of the new consolidated bonds were regularly met by the Costa Rican government. The economic depression of the mid 1890s contributed to the financial difficulties which led to defaulting on the bonds. George Church (member of the board of directors of the railroad company in London) wrote in his Report upon the Costa Rica Railway… the following exchange with President Iglesias : " (Iglesias) constantly urged that it was a heavy burden upon the country; that it cost the nation at least 2 million pounds for which they get nothing; that it was largely accountable for the disastrous financial condition of Costa Rica, owing to the remittance of its earning abroad; that its exactons upon the commerce were unbearable, etc., I told him that such retrograde, unreasonable arguments were scarcely worth an answer, and finally asked: "If I were able to put 3 million pounds in gold on your table and take back the railway, leaving the country as it was before the railway was built, would you accept it? His answer 'No, not if you would give 6 million for it.' "
Construction of the Pacific railroad begins. With the railroad-banana monopoly of the United Fruit company the banana will no longer serve the railroad but be its master. Other effects of the railroad: It did not cause an influx of immigrants as hoped. Population in 1870 was 150,000. Population in 1892 was 243,205. Foreigners living in the country 4,556 in 1883; and 6,289 in 1892. Jamaican Negroes numbered 902 in 1883 and 634 in 1892. Neither African or Chinese immigrants were desired and there were usually regulations forbidding their immigration. The twenty year time limit has expired for the land grants and only a small portion of several hundred thousand acres have been sold to potential immigrants or agricultors. The Pacific Railroad is officially inaugurated when the locomotive Maria Cecilia departs from Puntarenas to San José with passengers and cargo. A decision is made to electrify the railroad lines. An overcrowded train carrying pilgrims derails while crossing the Colima Bridge, killing over 300 people and injuring hundreds more. at the age of eighty-one. World depression finally brings about, after many more arrangements, consolidations, and reductions, the final default on the remaining principal and interest for the bondholders. The first electric trains reach Puntarenas. Still in operation with modern coaches. The rail network is damaged by an earthquake. Operation of the railroad is suspended for lack of funds to maintain it in safe repair. The Cartago train station is declared to be of architectural and historic interest by the National Patrimony Conservation and Research Center of the Ministry of Culture. 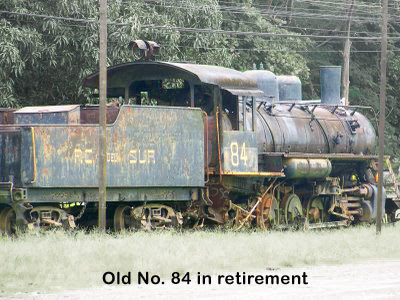 Number 84 cleaned up and put on display near the old Pacific depot/station in San José. From this date forward the state railroad authority INCOFER (Instituto Costarricense de Ferrocarriles) works to resume the popularity of rail transport. 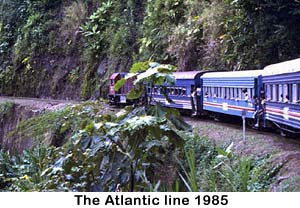 A private company, America Travel, organizes weekly tourist trains from San José to Puerto Caldera, Puntarenas. As of 2008 Tico Train tours have suspended operation until further notice. With a $150,000 investment the abandoned train station in Cartago is restored by the Municipality and reopens as a cultural center. Its initial exhibition is a photographic display representing the history of the railroad from 1824 to 1990. Rail service for commuters between Heredia and San Jose experiences a near disaster when one of it's car is derailed during a promotional run. President Oscar Arias and members of his cabinet were aboard when a wheel became stuck in a double rail. The incident occurred 25 meters before the Virilla River bridge. No one was injured during this trial run on tracks that had been tested twenty times previously. This was the same site of the 1926 Virilla Tragedy. Authorities say the route will be open in a couple of months as planned. I have lived in beautiful, lovely, dangerous Central America since 1995... It's a hoot! ............. Stop by sometime and bring your friend Johnny Walker. This chronology would not have been possible without the solid foundation laid by the scholarship of Dr. Charles W. Macune, Jr.. Click on photo.